STRIKER OUT OF STOCK UNTIL MID APRIL. PLEASE CALL TO PLACE AN ORDER. Dont get stuck on the trail! 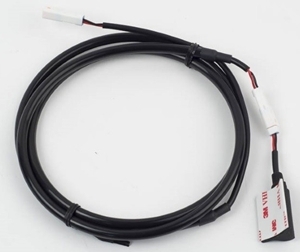 Do you know if your bike will start again after turning off? 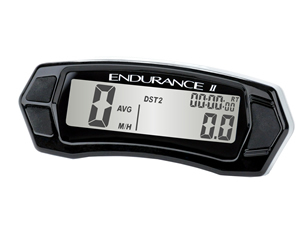 Striker displays voltage of your bikes battery. 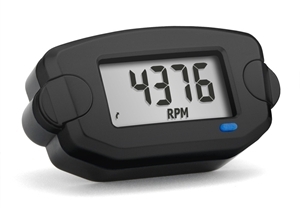 It lets you know (BEFORE you shut the bike off) if the bike will re-start the next time you hit the ignition. 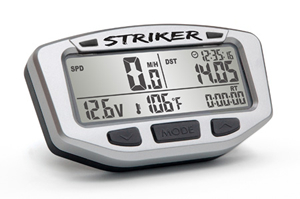 Striker builds on the 10 years of experience Trail Tech has in making model-specific gauges for motorcycles. It has many enhanced features including speed, distance, clocks, engine temperature and improved ambient temperature. Available in Black only (Stealth). 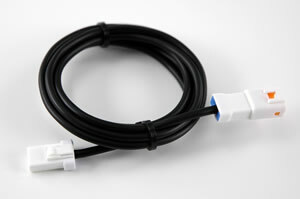 Compatible with the Remote Switch (for adjusting distance on the move). 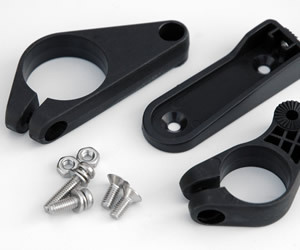 Compatible with the Indicator dashboard and full range of billet aluminium protectors. This is a complete Striker installation kit. Comes with Trail Tech Striker computer, power wire, temperature sensor, speed sensor, handlebar mounting hardware and instructions. Aluminum protector sold separately.